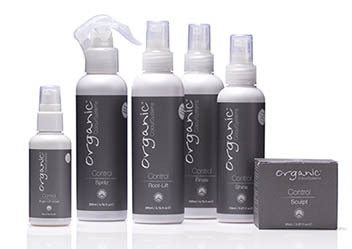 The Organic Colour “System” is supported by outstanding hair care products, which repair and restore the health of your hair before the colouring process even begins. After colouring, your hair is re-balanced, and the hair cuticle closed down to locked in your new colour and give your hair beautiful radiance and shine. The care range also is available for you to take home. The Organic Colour System permanent and semi-permanent colour ranges are vegan-friendly, gluten-free and formulated with a unique blend of natural and certified organic ingredients, which work to nourish and protect the hair during the colouring process and prevent damage. The permanent colours contain the lowest possible amounts of PPD & PTD (the essential dye ingredients needed to make hair colour permanent), while still being effective and long-lasting. The semi-permanent shades are completely free of PPD & PTD and are perfect for clients who aren’t ready to make a permanent change or are sensitive to oxidative pigments (PPD, PTD). 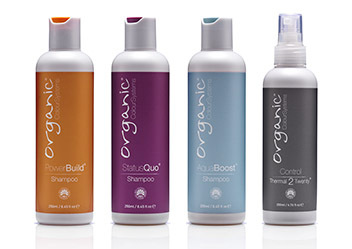 The “System” is rounded off by a full range of non-aerosol styling products which utilise natural and certified organic ingredients to protect the scalp and give a natural looking hold and beautiful finish. The styling products are also vegan friendly (with the exception of a few products that contain bee wax/honey derivatives – ask your stylist for more information). 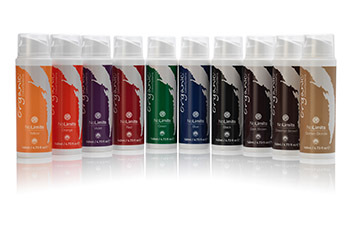 Luxurious, long-lasting, vegan-friendly and ammonia-free colours in both permanent and semi-permanent ranges. Non-aerosol & silicone-free styling products utilising natural & certified organic ingredients to protect the scalp & give a natural-looking hold & beautiful finish. Achieve the optimal moisture & protein balance for your hair and ensure that your style and colour last longer.